Have you ever wanted to start a blog with your own domain (without the classic outdated WordPress :P)? Ghost Blog is the best publishing platform to use! When you start a blog on a subdomain search engines like Google treat the subdomain as a separate domain which will not benefit the SEO of the main domain. Therefore, it is better to start our blog on domain.tld/blog/. Ghost is a fully open source, adaptable platform for building and running a modern online publication. They even power blogs, magazines and journalists from Zappos to Sky News. 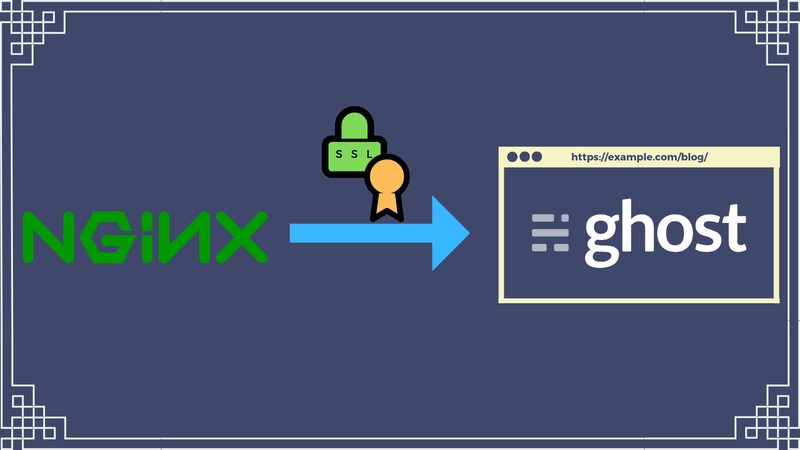 Note — Ghost has a paid package where they host your blog, but for this tutorial, we will be using the open source developer version which can be deployed on a custom web server. Note — I have used Ubuntu 18.04 LTS for this tutorial. Some of the steps might differ on other operating systems. Once you set up NGINX and have your main website running, install an SSL certificate. I am using Let’s Encrypt; however, you can use any other SSL. If you are using Ubuntu 16/18, visit https://docs.ghost.org/install/ubuntu/. Else, you could also use any of the alternative installation options available here https://docs.ghost.org/setup/. Normally, webpages use port 443 to run over SSL (secure) connection and port 80 to run over a non-SSL (insecure) connection. However, Ghost runs on port 2368, so we have to use a proxy that will use port 2368 when we go to the /subdirectory/ location. Now, visit https://domain.tld/subdirectory/ghost/, and you should be able to create your Ghost Blog account as shown below. Once you configure all the above setting properly, you will not get any kind of mixed content errors. Originally published at snpranav.com on March 2, 2019.